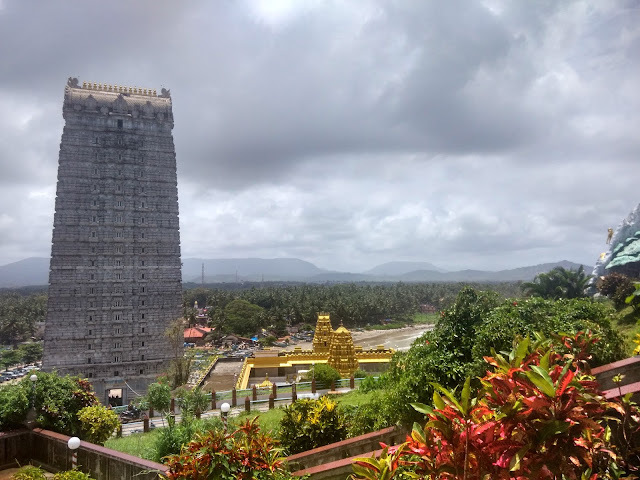 You can start the trip by visiting the Murudeshwara temple which is near the parking lot. 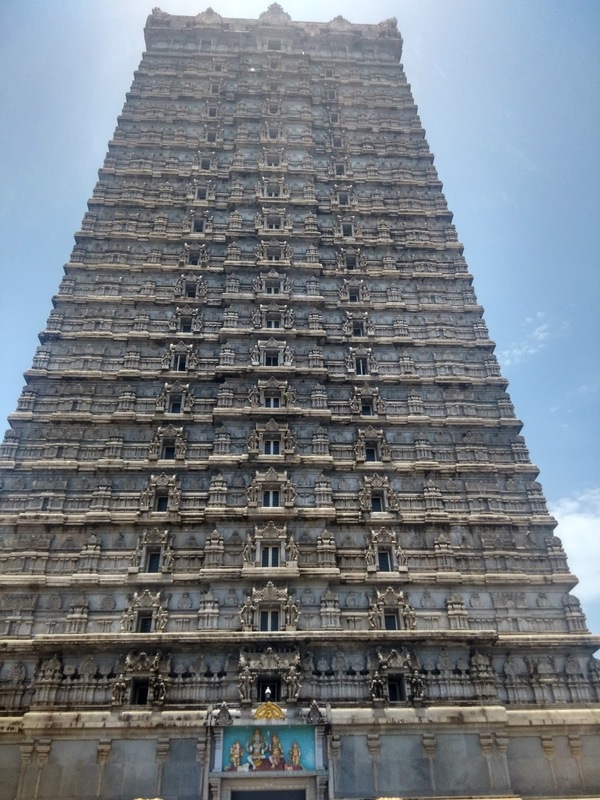 The entry to this temple is through a 240 feet Gopura. For the geometrically illiterate folks like me, it is 21 floors high. 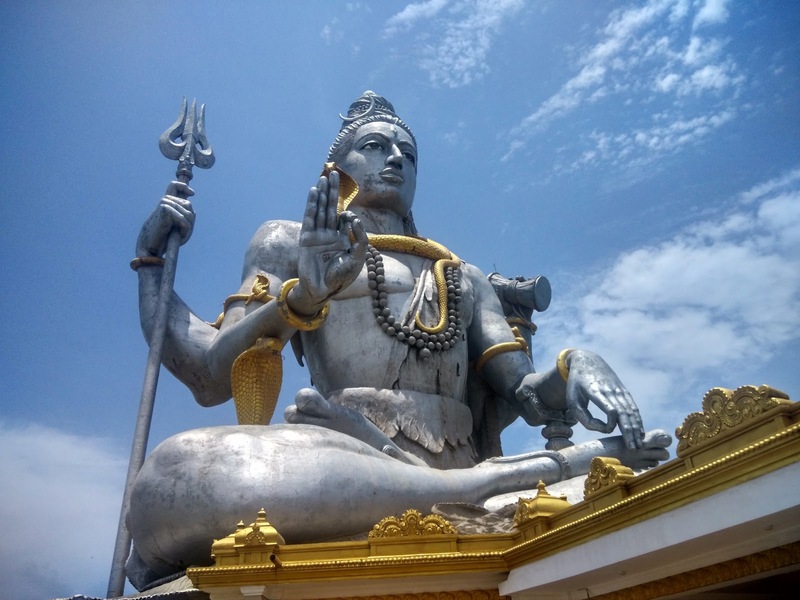 When you enter the temple you can see the giant Shiva statue in the background. On your way out, you can pay INR 10 per person to take the lift to the top of the Gopura for an arial view of the beach and the statue. This is highly recommended. 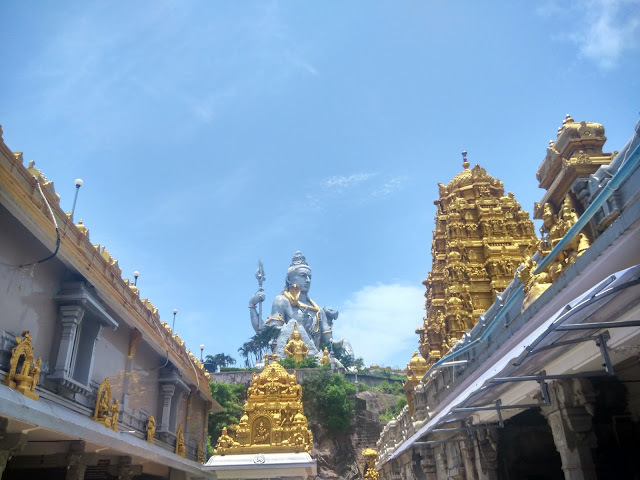 Once you are back to the entrance you can walk up to the statue through the path near the temple. The little known fact here is there is also a road by the guest houses to take your vehicle to the top near the statue (ssshh, don't tell anyone). From the top you have a different view of the Gopura that you would have already visited before you reached here. There is a temple below the statue which you can also visit and you can go around the statue to view the beach. 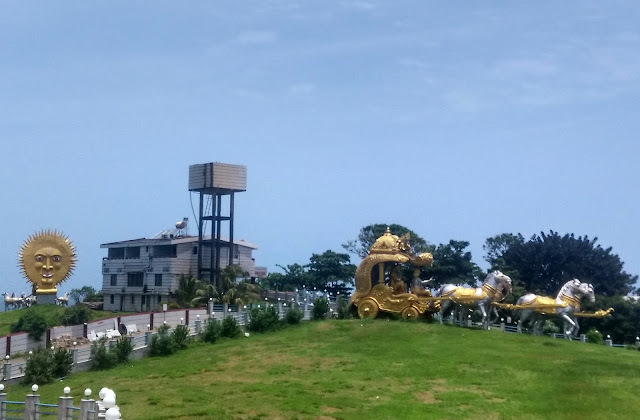 Apart from these there are also various statues such as Krishna's chariot and the Sun God. 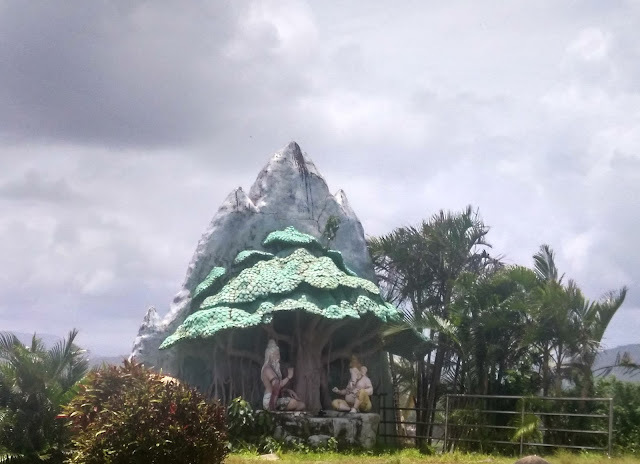 It will take you 3hours to go around this small temple town. You can visit the beach but the sun might be brutal during the day. Not to mention the humidity. If you have pre-registered for scuba diving (offered by various travel agents online) then it will take you another half a day. I have not got an opportunity to scuba dive yet, so I have nothing to share about it. So in total you can cover Murdeshwara in half a day or a full day if you include scuba. There are various guest houses and enough restaurants here. You might need to reserve the rooms if you are visiting during the weekend. 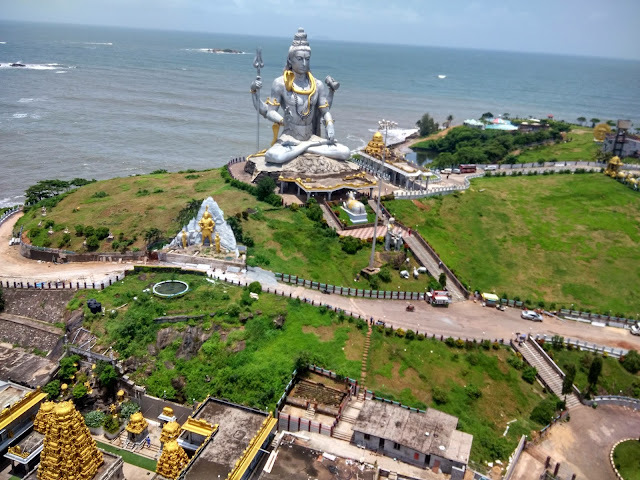 In this post I would like to recommend a few itineraries which you can club with Murudeshwara. 1) Take the day train from Bangalore (only on Monday, Wednesday and Friday), enjoy the green route via Sakleshpur to reach Murudeshwar at night. 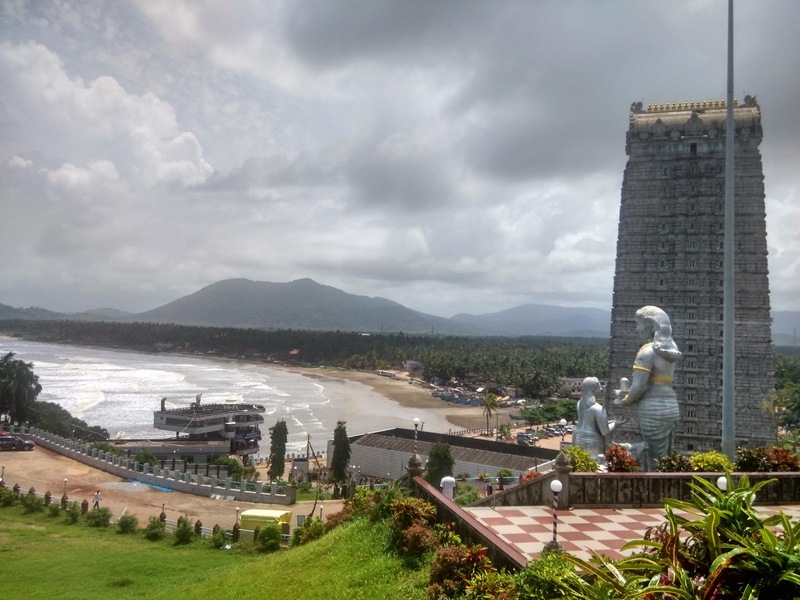 The next day you can spend in Murudeshwara. There is a KSRTC bus from Murudeshwara every night back to Bangalore. 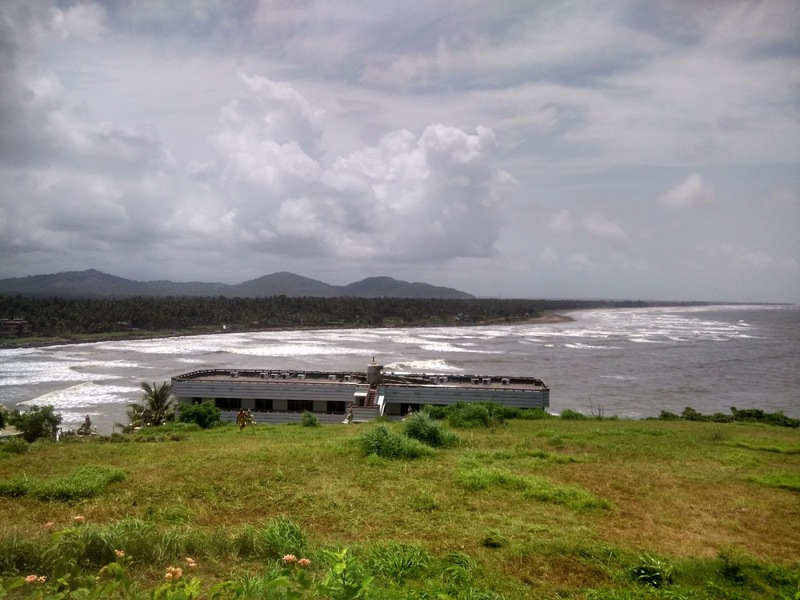 2) Take the bus to Gokarna. Spend a day in Gokarna and stay the night. Next morning head over to Murudeshwara and return to Bangalore from there. 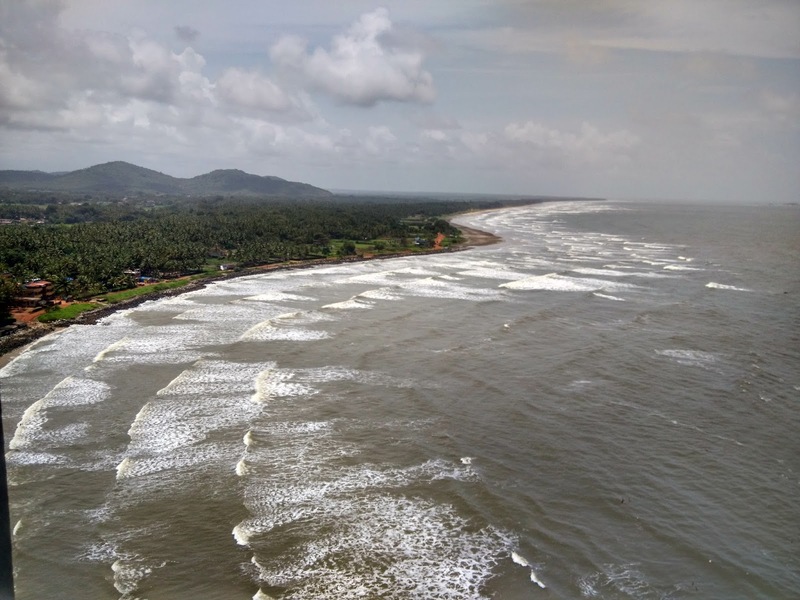 3) If you are keen on road travel then you could do Murudeshwara and then reach Jog Falls via Honnavara. 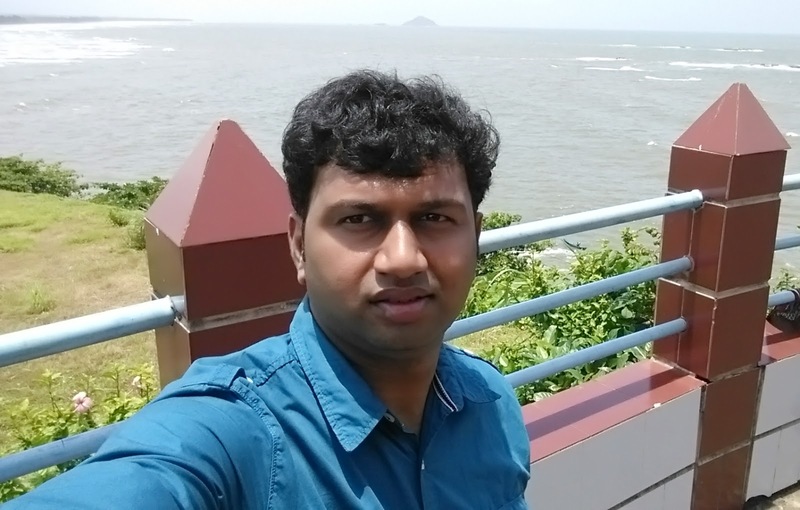 Even Yana near Sirsi could be considered as an option. 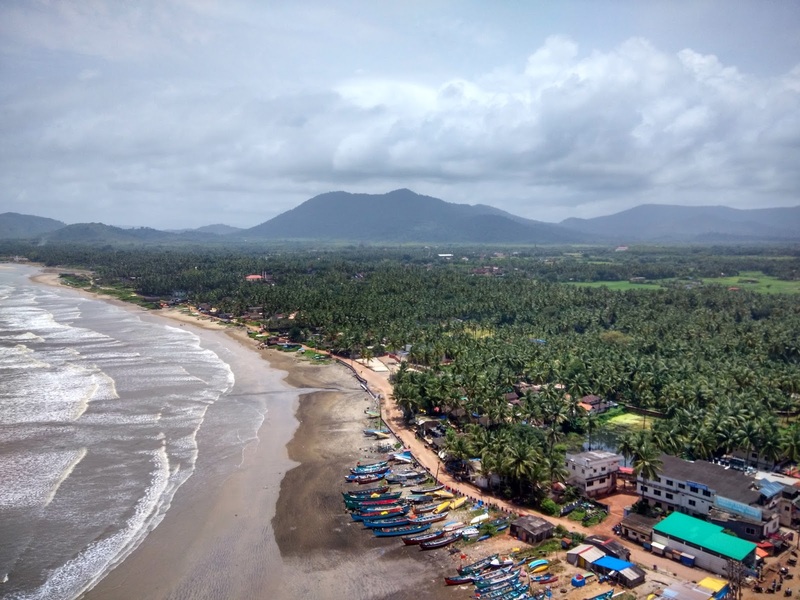 If you have more than 2 days or are driving then you could include Udupi, Mangalore and Kollur (Kodchadri) also in the itinerary. 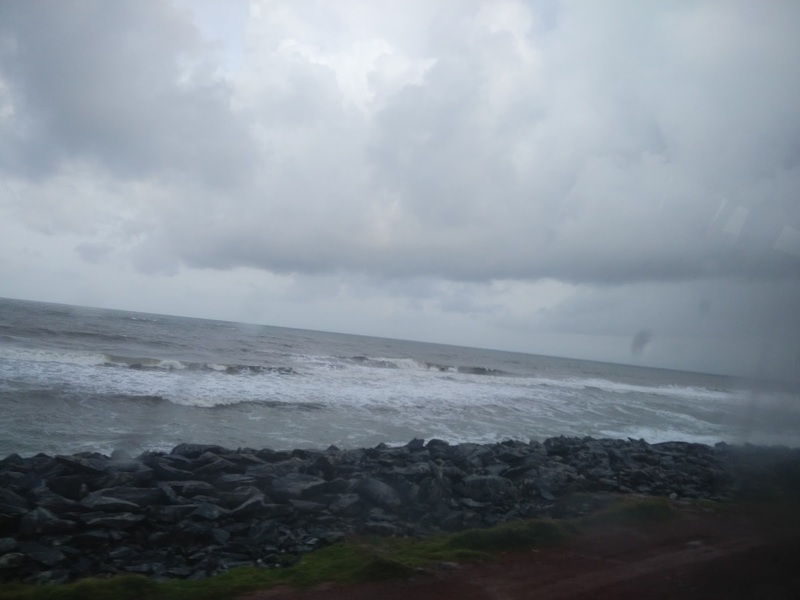 The railway station in Murudeshwar provides direct train to every major city across the west coast of south India. 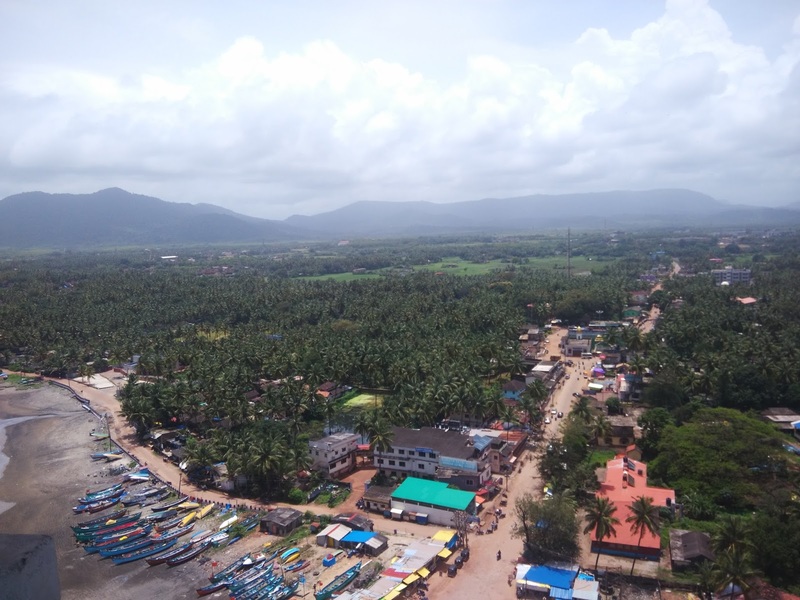 The national highway goes to Panaji (Goa) via Karwar. 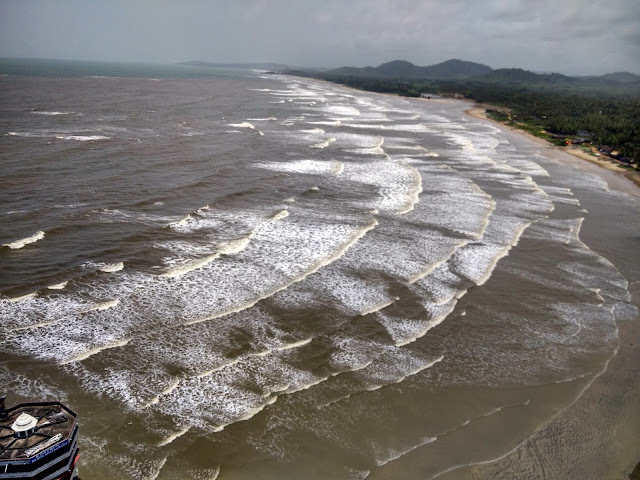 If you are driving from Udupi towards Murudeshwara then you will see the Marvanthe Beach. It has the Arabian Sea on one side of the National Highway and a river flowing on the other side, which used to be unique and exotic. There is road expansion work in progress now so I just hope that the beauty of this place is not lost. Well that is all I have in this post. I am so glad I got to visit this place after almost 10yrs.